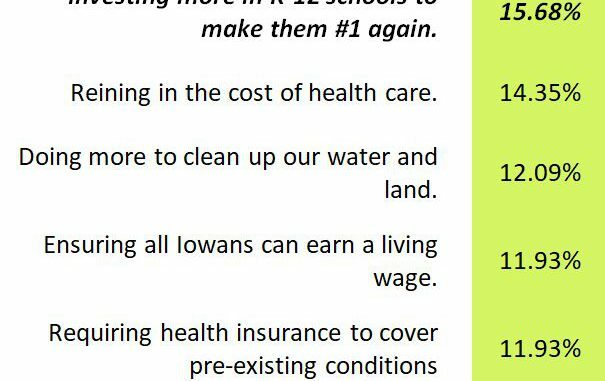 Iowans want decent-paying jobs, affordable health care and the chance to lead a good life. In recent years, however, we’ve seen stagnant wages, rising health care costs and more Iowans living paycheck to paycheck. Iowans deserve better. 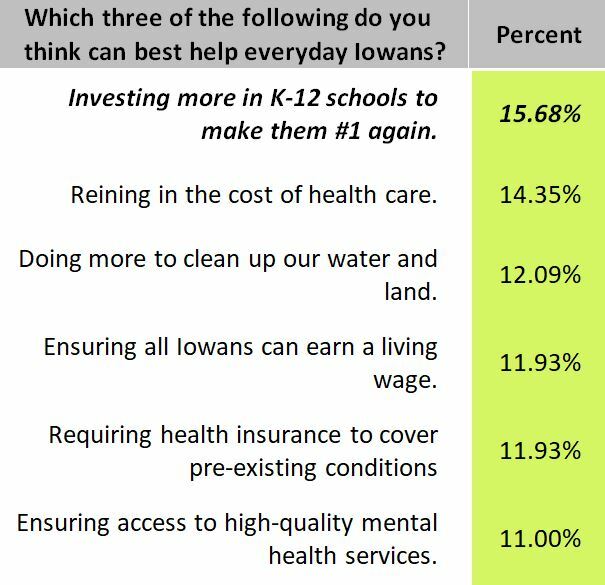 In a survey earlier this session, Senate Democrats asked what you think can best help everyday Iowans. The table below summarizes your top responses. Thank you to all who offered their input. I am committed to Putting Iowans First by focusing on our shared values of fairness, compassion, dignity, equality and liberty. Please continue giving your feedback to ensure we do all we can to help you, your family and your community. Working together, we can get Iowa back on the right track.